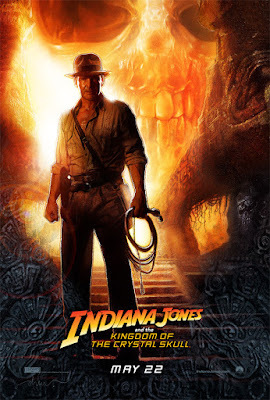 Home » Features » New poster for Indiana Jones and the kingdom of the Crystal Skull. New poster for Indiana Jones and the kingdom of the Crystal Skull. Here is the new official poster for the forthcoming Indiana Jones and the kingdom of the Crystal Skull. Goofy name? Absolutely, but I could not care less since it is Indiana freakin’ Jones! Click on the poster to see the full sized version. The film comes out on May 22, 2008.